James Alton McDivitt (born June 10, 1929), (Brigadier General, USAF, Ret. ), is an American former test pilot, United States Air Force pilot, aeronautical engineer, and NASA astronaut who flew in the Gemini and Apollo programs. He commanded the Gemini 4 flight during which Ed White performed the first U.S. spacewalk, and later the Apollo 9 flight which was the first manned flight test of the Lunar Module and the complete set of Apollo flight hardware. He later became Manager of Lunar Landing Operations and was the Apollo Spacecraft Program Manager from 1969 to 1972. McDivitt was born on June 10, 1929, in Chicago, Illinois. He is of Irish descent. He was a Boy Scout and earned the rank of Tenderfoot Scout. He graduated from Kalamazoo Central High School, Kalamazoo, Michigan, in 1947; then completed two years at Jackson Junior College (now known as Jackson College), Jackson, Michigan, and received a Bachelor of Science degree in Aeronautical Engineering from the University of Michigan (graduated first in class) in 1959. McDivitt is married, with four children: Michael A. McDivitt (born in 1957), Ann L. McDivitt (born in 1958), Patrick W. McDivitt (born in 1960), and Kathleen M. McDivitt (born in 1966), and two stepchildren. 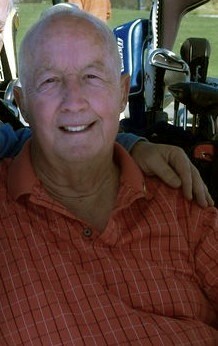 His recreational interests include hunting, fishing, golf, water sports, tennis, and all outdoor activities. McDivitt joined the United States Air Force in 1951, and retired with the rank of brigadier general in 1972. He received his pilot wings and commission as a second lieutenant in May 1952 at Williams Air Force Base, Arizona, and completed combat crew training in November 1952. He flew 145 combat missions in F-80s and F-86s with the 35th Bombardment Squadron during the Korean War. He returned to the United States in September 1953 and served as pilot and assistant operations officer with the 19th Fighter Interceptor Squadron at Dow Air Force Base, Maine. In November 1954, McDivitt entered advanced flying school at Tyndall Air Force Base, Florida, and in July 1955 went to McGuire Air Force Base, New Jersey, where he served as pilot, operations officer, and later as flight commander with the 332d Fighter Interceptor Squadron. He returned to school in June 1957 at the University of Michigan under the U.S. Air Force Institute of Technology program, and received his bachelor's degree. Following graduation, McDivitt went to Edwards Air Force Base, California, as a student test pilot in June 1959. He remained there with the Air Force Flight Test Center as an experimental flight test pilot, completed the Air Force Experimental Test Pilot School (Class 59C) and Aerospace Research Pilot School (Class I), and joined the Manned Spacecraft Operations Branch in July 1962. 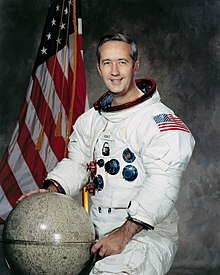 McDivitt was selected as an astronaut by NASA in September 1962 as part of Astronaut Group 2. He was chosen as Command Pilot of Gemini 4, becoming the first U.S. astronaut to command his first spaceflight. 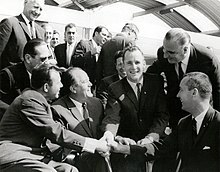 Only three other Gemini astronauts, from this group, were chosen to command their first flights: Frank Borman (Gemini 7), Neil Armstrong (Gemini 8), and Elliot See. (See was killed in the crash of a T-38 trainer jet three months before his Gemini 9 mission.) After Gemini, only two other rookies commanded their first flights: Gerald Carr (Skylab 4) and Joe Engle (Space Shuttle STS-2). McDivitt is also the first Roman Catholic to fly into space. McDivitt commanded the Gemini 4 mission with Ed White as his copilot. Launched on June 3, 1965, the mission lasted four days and made 66 orbits, allowing the United States to come close to the early space endurance record of five days set by the Soviet Vostok 5 flight. The first objective was to attempt the first space rendezvous with the spacecraft's spent Titan II launch vehicle's upper stage. This was not successful; McDivitt was unable to get closer than what he estimated to be 200 feet (61 m). Several factors worked against him. There were depth-perception problems (his and White's visual estimates of the distance differed, variously longer or shorter than each other at different times). The orbital mechanics of rendezvous were not yet well understood by NASA engineers. Also, the stage was venting its remaining propellant, which kept pushing it around in different directions relative to the spacecraft. McDivitt finally broke off the rendezvous attempt in order to save fuel and preserve the second, more important objective, which was for White to perform the first United States "spacewalk". McDivitt controlled the capsule's attitude and photographed White during the "walk". The hatch on Gemini 4, through which White exited to make his walk, was prone to problems with the latch mechanism gears coming unmeshed, making it difficult to open and relatch the hatch. McDivitt had spent some time before the flight with a McDonnell engineer, improvising a technique of forcing the gears to mesh by inserting the fingers inside the mechanism. The hatch was difficult to open and also to relatch during the flight, but McDivitt was able to get it working both times, with his hands in his pressurized space suit gloves. If he had not been able to get the hatch latched after the space walk, both men would have most certainly been killed during re-entry. On the second day, over Hawaii, while White was asleep, McDivitt happened to see an unidentified flying object, which he described as looking "like a beer can or a pop can, and with a little thing like maybe like a pencil or something sticking out of it." He got a camera and took a few photographs of it, but did not have time to properly set exposure or focus properly. He believes that since it was visible to him, it must have been in an orbit close to that of his spacecraft, probably a piece of ice or Mylar insulation having broken off of it. Word of the "UFO photos" reached the press by the time the flight splashed down, and one eager reporter waited for the Gemini 4 photos to be processed. He found one with a cluster of three or four images that looked like disc-shaped objects with tails, which became known as the "tadpole" photo. McDivitt has identified these as reflections of bolts in the multipaned windows. In April 1966, McDivitt, along with Astronaut Group 3 astronauts David Scott and Rusty Schweickart were named as members of the backup crew for Gus Grissom's first manned Apollo mission Apollo 1, flying only the Apollo Command/Service Module in Earth orbit. In December, they were replaced as backups with Wally Schirra, Donn Eisele & Walt Cunningham,the crew of the original second mission which was cancelled, and were promoted to prime crew of a new second mission flying both the Command/Service Module and the Lunar Module. They were training for this mission when tragedy struck on January 27, 1967: A cabin fire killed Grissom's crew and brought a 22-month suspension of manned Apollo flights. After the Apollo 1 fire, plans resumed for McDivitt's crew to fly the Lunar Module mission, which would have been Apollo 8 in December 1968. But the Lunar Module was not ready in time, so NASA decided to make Apollo 8 a circumlunar flight of the Command/Service Module, flown by Frank Borman, Jim Lovell, and William Anders. McDivitt's 10-day Earth orbital LM test became Apollo 9, launched on March 3, 1969. After Apollo 9, McDivitt became Manager of Lunar Landing Operations in May 1969, and led a team that planned the lunar exploration program and redesigned the spacecraft to accomplish this task. In August 1969, he became Manager of the Apollo Spacecraft Program and was the program manager for Apollo 12, 13, 14, 15 and 16. After leaving the Apollo Program he was offered the opportunity to be the Shuttle Program Director, but elected to leave NASA to pursue a career in business. McDivitt retired from the U.S. Air Force and left NASA in June 1972, to take the position of Executive Vice President, Corporate Affairs for Consumers Power Company. In March 1975, he joined Pullman, Inc. as Executive Vice President and a Director. In October 1975 he became President of the Pullman Standard Division. In January 1981 he joined Rockwell International where he was the Senior Vice President, Government Operations and International at the time of his retirement, Washington, D.C. He retired in 1995. McDivitt is a member of the Society of Experimental Test Pilots, the American Institute of Aeronautics and Astronautics, Tau Beta Pi, Phi Kappa Phi, Atlantic Council on Foreign Diplomacy, and Advisory Council-University of Michigan. He is also a Knight of Columbus, and represented the Order at the Third World Congress for the Lay Apostolate at the Vatican in 1967. Inducted into the International Air & Space Hall of Fame in 2012. The SETP Iven C. Kincheloe Award, an Honorary degree in astronautical science from the University of Michigan in 1965, an Honorary Doctor of Science degree from Seton Hall University in 1969, an Honorary Doctor of Science from Miami University (Ohio) in 1970, and an Honorary Doctor of Law degree from Eastern Michigan University in 1975. McDivitt was one of ten Gemini astronauts inducted into the International Space Hall of Fame in 1982. In the 1998 HBO miniseries From the Earth to the Moon McDivitt was played by Conor O'Farrell. He himself appeared on The Brady Bunch in a 5th-season episode about UFOs. He appeared as himself as the guest on a talk show to talk about his UFO experience. At the end of the talk show, he signed autographs for the characters Peter Brady and Bobby Brady. McDivitt has a school named after him in Old Bridge, New Jersey, the James A. McDivitt Elementary School. Many of the elementary schools in the Old Bridge Township Public School System are named after astronauts, such as Alan Shepard, Gus Grissom, John Glenn, Wally Schirra, Gordon Cooper, and Scott Carpenter. He also has a building, James McDivitt Hall, named after him, on the campus of Jackson College, Jackson, Michigan, where the now closed Michigan Space Center was once housed. There is a street named McDivitt Drive after him in Blue Bell, Pennsylvania, built in 1990. There is a street named McDivitt Lane in Mukwonago, Wisconsin. There is a section of streets on Staten Island, New York, named after astronauts, and one of them is named after James McDivitt. There is a McDivitt Terrace in the Westridge development in Aldie, Virginia, that's part of a section where most of the streets are named after astronauts. ^ The FAI sets the limit of space at 100 kilometers (62 mi). ^ I know of only one possible UFO seen in space by an astronaut, which was duly reported at the time. It occurred in 1965, when James McDivitt and Ed White were passing over Hawaii in Gemini 4 and spotted what McDivitt described as a 'weird-looking metallic object' with an 'arm sticking out.' The object was moving away from the spacecraft. It wasn't on their list of space junk, so he took some pictures. It was so bright with the sun shining off it that it was difficult to see much detail, and the astronauts frankly didn't know what they were observing. Later there was some speculation that it could have been the second stage of their Titan II booster, but McDivitt had seen the rocket section trailing them earlier and identified it as such. ^ "Astronauts and the BSA" (PDF). Boy Scouts of America. Retrieved June 25, 2016. ^ a b c d e f "Biographical Data". NASA JSC. Retrieved June 25, 2016. ^ "McDivitt". Astronautix. Retrieved June 25, 2016. ^ "Famous Catholics". Adherents. Retrieved June 25, 2016. ^ a b c d McDivitt, James (June 29, 1999). "Oral History Transcript" (PDF) (PDF). Interviewed by Doug Ward. Elk Lake, Michigan. Retrieved June 25, 2016. ^ Cooper, Gordon (2000). Leap of Faith: An Astronaut's Journey Into the Unknown. New York, NY: HarperCollins. p. 87. ISBN 0060194162. ^ United Press International (October 11, 1967). "Meek days Over, Laymen Theme". The Boston Globe. ^ a b c d e f g h i j k "Commanded Apollo 9, the third manned Apollo mission". New Mexico Museum of Space History. Retrieved December 11, 2017. ^ "Science and Exploration Golden Plate Award Winners". Academy of Achievement. Retrieved December 11, 2017. ^ "Jim McDivitt". Astronaut Scholarship Foundation. Retrieved June 25, 2016. ^ "Walk of Honor". City of Lancaster. Retrieved December 11, 2017. ^ "Aviation Hall Of Fame Honors Six". AVweb. Retrieved 23 December 2013. ^ "Brigadier General James A McDivitt". U.S. Air Force. Retrieved December 11, 2017. ^ "From the Earth to the Moon, Full Cast and Crew". IMDb. Retrieved December 11, 2017. ^ "The Brady Bunch: Out of This World". IMDb. Retrieved December 11, 2017. ^ "Homepage". James McDivitt Elementary School. Retrieved December 11, 2017. Wikimedia Commons has media related to James McDivitt.